We reached out to some of our favourite bloggers to discover where in the world is their favourite cruise destinations are. From the icy landscapes of Alaska through to the sun-kissed Mediterranean coastline, there’s plenty of inspiration to start planning your own cruising holiday! 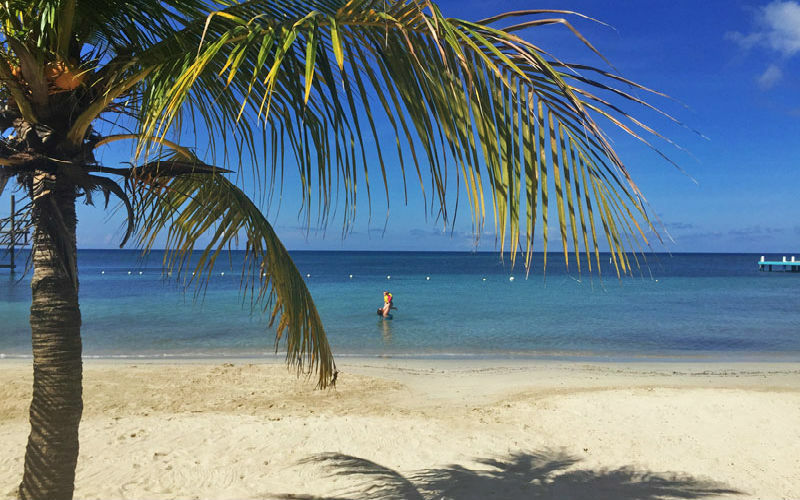 Bethaney and Hazel swimming in Roatan, Honduras. Image Credit: Flashpacker Family. 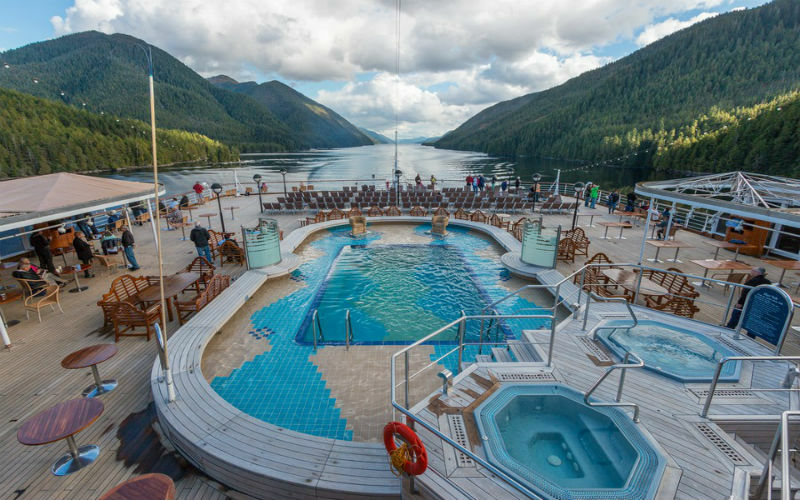 “Our favourite cruise destination has to be Juneau, Alaska. 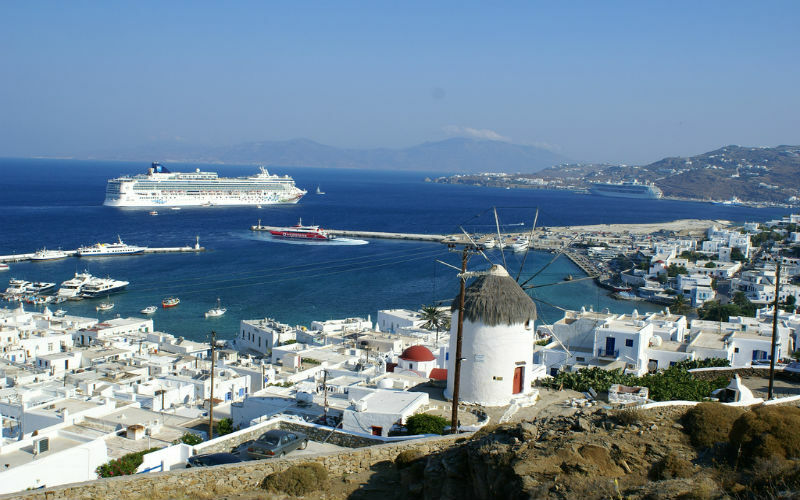 This capital city offers picturesque views right from the balcony of your cruise ship, but you will want to disembark to explore all that this port has to offer. You can head just ten minutes from the ship to view the massive Mendenhall Glacier. 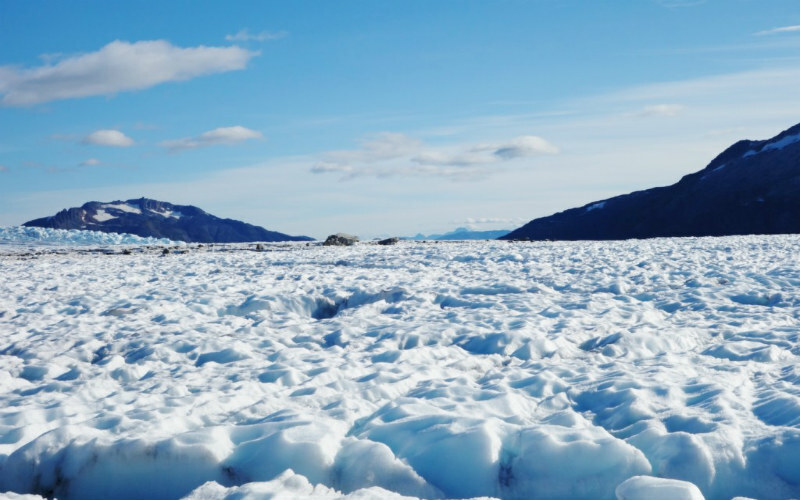 We recommend a helicopter tour so you can get a bird’s eye view of the area before landing and having the opportunity to actually explore the glacier on foot. You can’t go to Alaska without getting up close and personal with nature. So, whether you decide to explore the Mendenhall Glacier, venture out on a whale watching expedition, or go searching for brown bears, there will be plenty of photo opportunities along the way. For thrill seekers, the Alaska Zip Line Adventure allows you to soar through the Tongass National Forest on some of the longest zip lines in North America. Mendenhall Glacier, Alaska. Image Credit: EatSleepCruise.com. “Cruising in the Caribbean Sea is just wonderful! While all of the islands are downright beautiful, I would have to say my favourite stretch of Caribbean sand has got to be Barbados. There is just so much to see and do in Barbados, and it’s tough to fit it in all in with only one day on the island. Barbados was formed by rising coral deposits, maintaining a much more flat profile (unlike many other Caribbean islands), making it much easier to get around. Be sure to try the rum (the world’s oldest!) and rum cake, make a short visit to Andrew’s Sugar Factory, and catch of glimpse of history at St. James Parish Church. Looking for a gorgeous scenic lookout stop?! 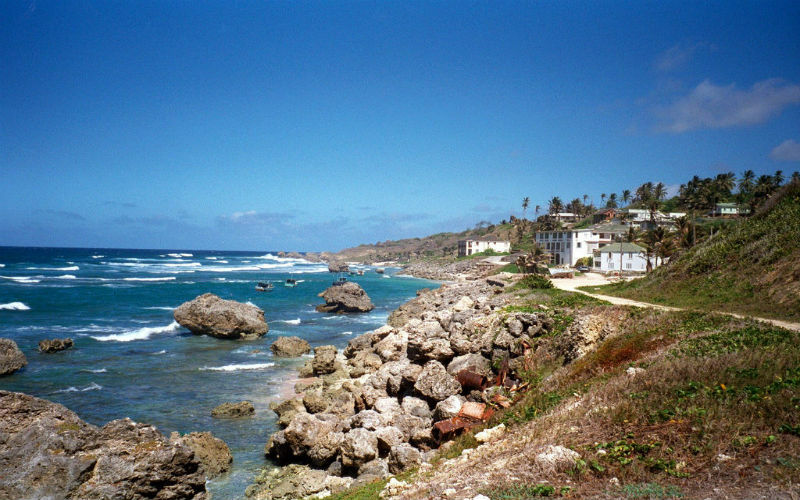 Spend some time at Bathsheba – just one look will take your breath away, I promise! Breathtaking views of the dramatic coastline can be found here! The powerful waves make this area not ideal for swimming, as it just isn’t safe – but you can look at the beautiful turquoise waters ahead. Bathsheba, Barbados. Image Credit: Neil Turner. “The beautiful thing about cruising is that it allows you to visit places that are normally hard to reach. And this not only applies to islands. There are also some cruise ports on the mainland that are not easy to reach because they are located in rough terrain with substandard road connections, far away from other tourist centres. One such place is Kotor in Montenegro. As a matter of fact, Kotor is a bit of a trade secret among cruise ship passengers, unknown to any other type of visitor. Two main reasons why it’s my favourite port: first of all, Kotor is situated on the shores of a deeply indented part of the Mediterranean which looks a bit like a Scandinavian fjord. 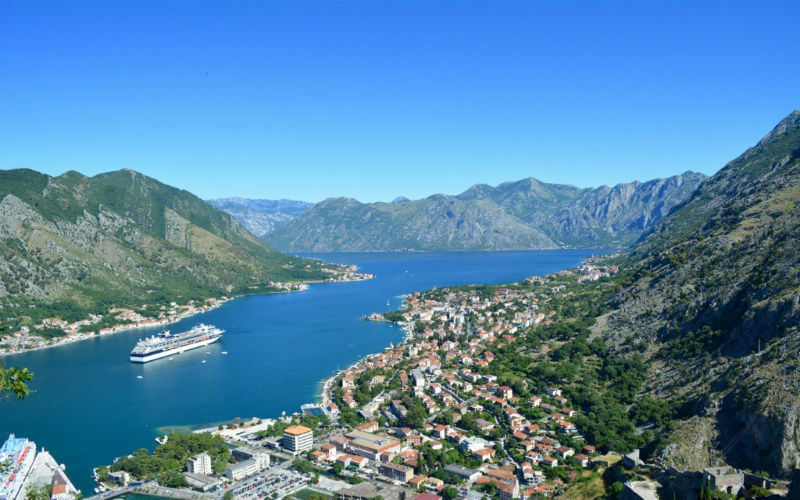 Arriving in Kotor by cruise ship you are gliding deep into this bay which is surrounded by majestic barren limestone mountains. It’s a bit like from a scene in a fantasy novel. Kotor, Montenegro. Image Credit: Happiness and Things. “We love to cruise. As nomadic travellers we don’t often get time away from the kids and cruising is the perfect solution. With a 12 hour day kids club that our kids never want to leave we found the perfect place for everyone to enjoy themselves. To garner our favourite cruise it’s best to know where we have been. We have cruised a total of 5 times. A Christmas cruise through the South Pacific. A short getaway to the Bahamas. A week long vacation lying on beaches in the Caribbean. A multi-generational cruise through the Mediterranean. And lastly a winter cruise through Alaska. My perfect idea of a cruise is the one we did in the Caribbean where you spend most days chasing waterfalls, sunbaking on beaches and drinking from coconuts, but last year we did our Alaska cruise with Holland America. It wasn’t the perfect weather and it wasn’t the perfect kids club, but it was the most scenic cruise I’ve ever done. I could have sat on our balcony for hours watching the glaciers slide by or trying to capture a glimpse of the passing orcas. We also had some amazing experiences. Our favourite a helicopter ride to Skagway glacier for a walk on 800 feet of ice. Plus the food on Holland America is delectable. Alaska cruise with Holland America. Image Credit: Travel With Bender. 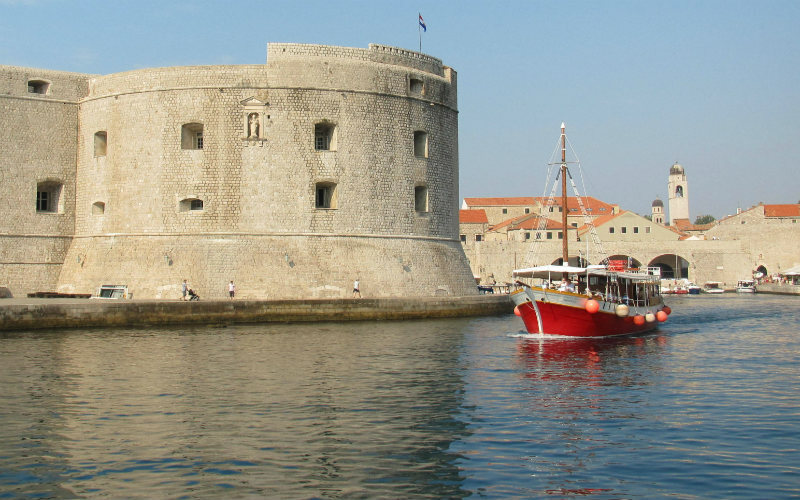 “We’ve cruised to some pretty mind-blowing destinations in Europe, Asia and the Pacific and though it was hard to pick one favourite, the boy and I agreed that it would be hard to top Dubrovnik in Croatia. Surrounded by the sparkling, aqua waters of the Adriatic, it is a great walking city for lovers of history and one of those places that makes your draw drop when arriving by sea. We had the added bonus of sailing from our cruise port into the Old Town in an old timber merchant ship, which is still one of the my son’s favourite travel moments. Dubrovnik, Croatia. Image Credit: Boy Eats World. 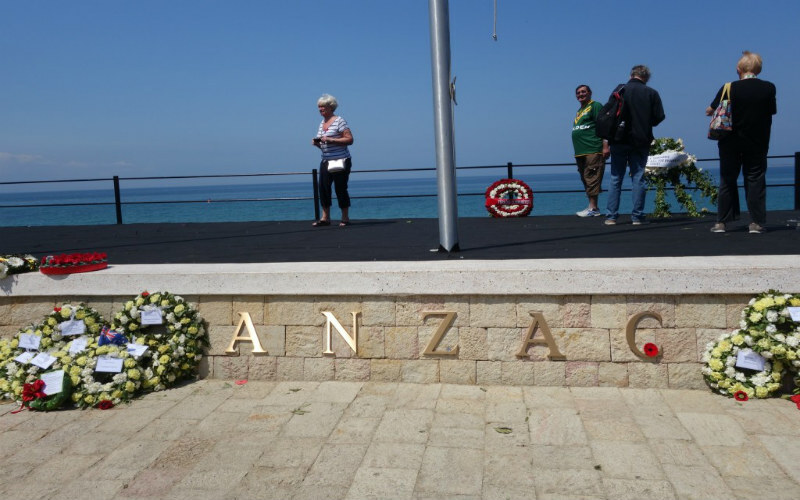 “I went on a Celebrity Cruise last year to commemorate 100 Years of ANZAC in Gallipoli. To me, it is the ideal cruise because you hit a lot of stones in one trip. First, you get to pay your respects and see Gallipoli first hand. The cruise departed from Rome (which was also our last stop) so it meant passing through the Mediterranean Sea, which, during that season is when it’s at its calmest. I barely felt that I was in a ship the entire time. After stopping in Gallipoli and Canakkale in Anzac Day, our ship also docked in Istanbul, Athens, Santorini, and Naples. So it also doubled as an enjoyable Mediterranean cruise. The weather in Europe in late April is lovely too! Sunshine every single day and not too hot. The passengers onboard were all in good spirits and there were a lot of multi-generational families and travellers so it was quite a good mix in terms of age group. Most cruises are all about indulgence and spoiling yourself (which isn’t such a bad goal if you ask me! ), but I liked that this cruise balanced things out as the main reason is to pay tribute and remember the past. I also learned so much as there were lecturers and presentations on board about the history of Gallipoli and World War I.
Anzac Cove, Gallipoi, Turkey. Image Credit: Holy Smithereens. “Travel by sea offers a relaxing way to sample different foods, cultures and landscapes, savouring snippets from each destination, expanding our perception of the world. When thinking back to our most memorable trips, I’m taken back to our magnificent Mediterranean cruise. The Mediterranean offered variety at each port, as we stepped off the pier we revelled at Spanish architecture in Barcelona, strolled along seaside towns of Côte d’Azur, and got snapshots of cities bursting with history. Providing an intriguing blend of culture, religion and delectable cuisine we walked the narrow cobble stoned lanes, visited ancient ruins and rolling vineyards, and weaved our way through the jumble of white sugar cubed houses and iconic imperial treasures of the Mediterranean. We explored birthplaces of famous artists, philosophers and writers and tantalised our taste buds sampling Greek mezze and Spanish tapas and sipping Turkish tea and local wines and coffee. Visiting the impressive cathedrals, mosques and palaces, we were marvelled by the mosaics, stained glass, and the genius of Gaudi. Sailing along the coastline’s colourful hues of turquoise, sapphire and emerald, we saw UNESCO World Heritage sites, Gondolas on charming canals, had our senses bombarded at the Grand Bazaar and trod marble pathways at Roman remains. Mykonos, Greece. Image Credit: Richard Martin. Planning your own cruise adventure? Webjet Cruises helps you compare a range of cruises, meaning booking the best cruise deal has never been smoother sailing.